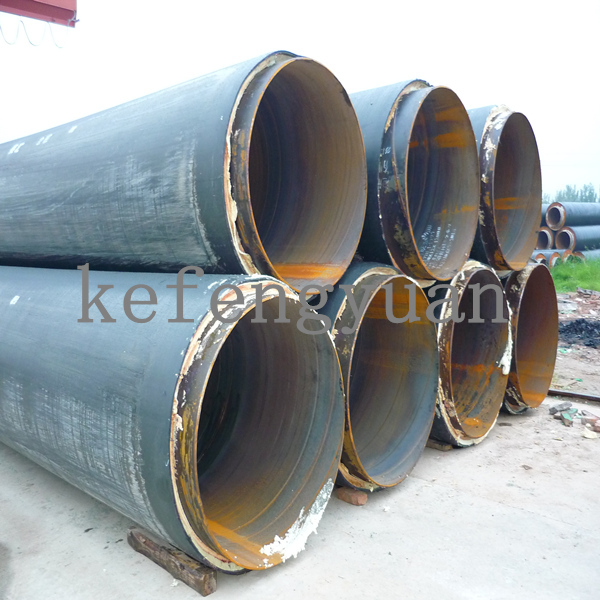 Isolate heat layer and anti-corrosion layer are wrapped on steel pipe at the same time, continuous production, high efficiency and low cost. 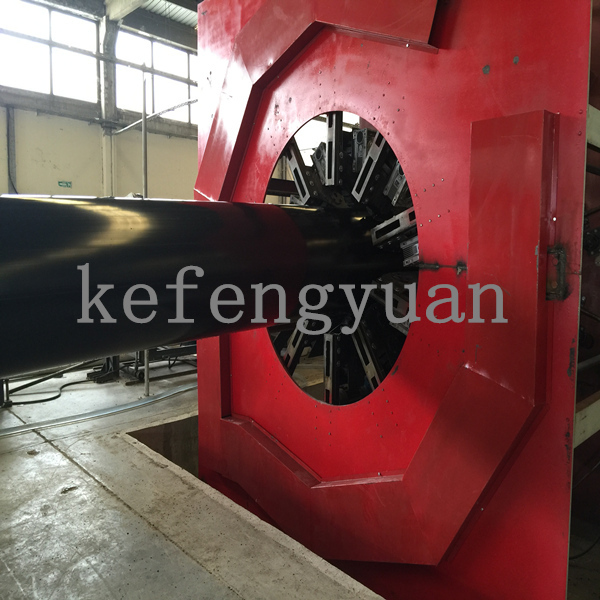 In-line ball blast de-rust, in-line painting and antirust treatment. 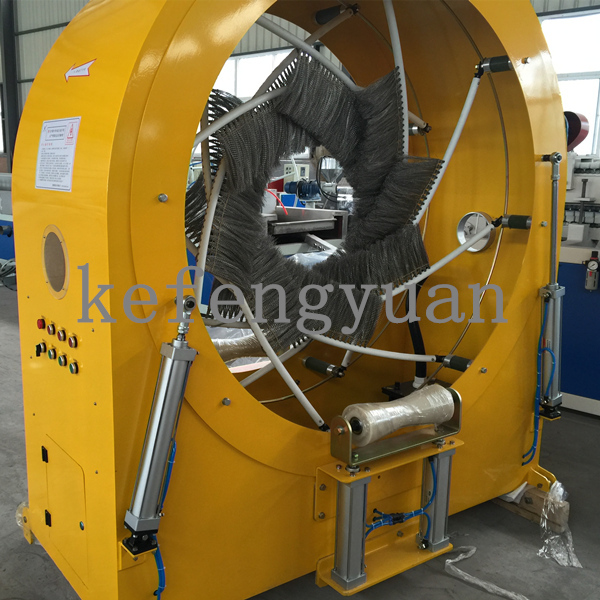 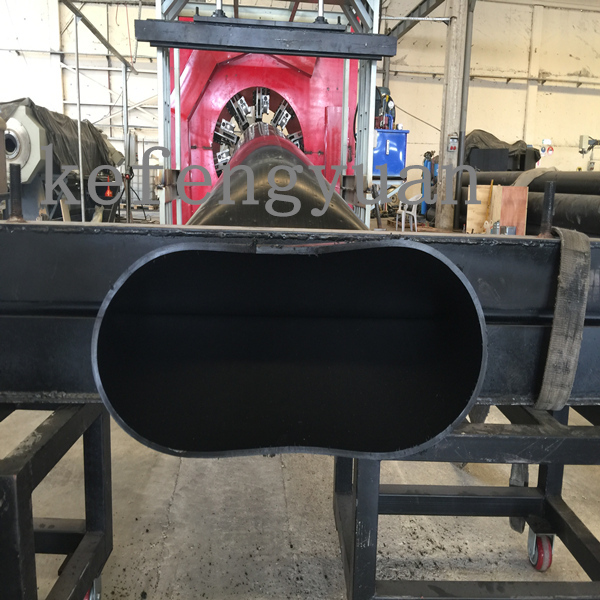 This set is mainly used to produce the big size PE heat preservation pipe. 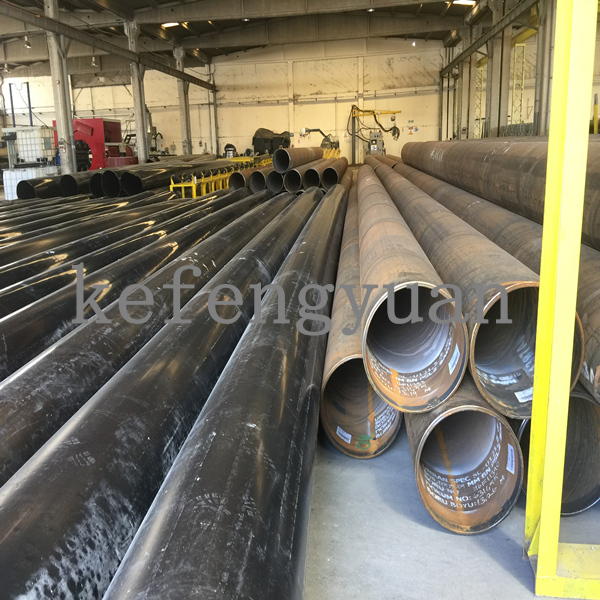 Its product is mainly used in the outer layer of heating pipe line, the middle layer is polyurethane foaming layer and the inner layer is steel tube. 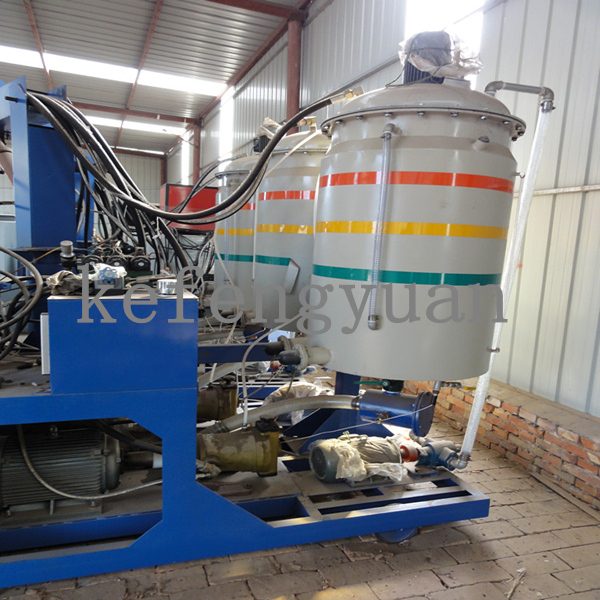 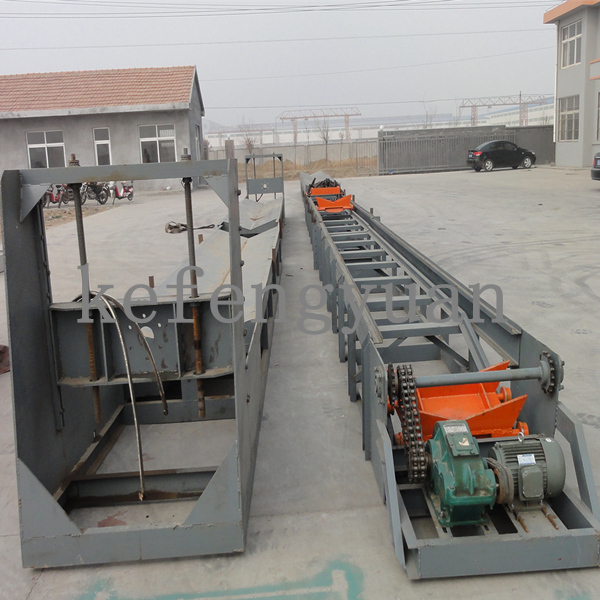 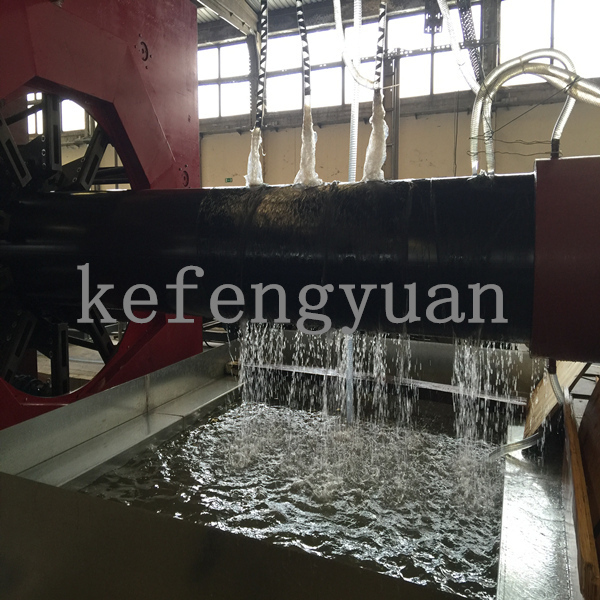 It can also produce water supply pipe and drain pipe by adding the vacuum calibration tank and cooling tank. 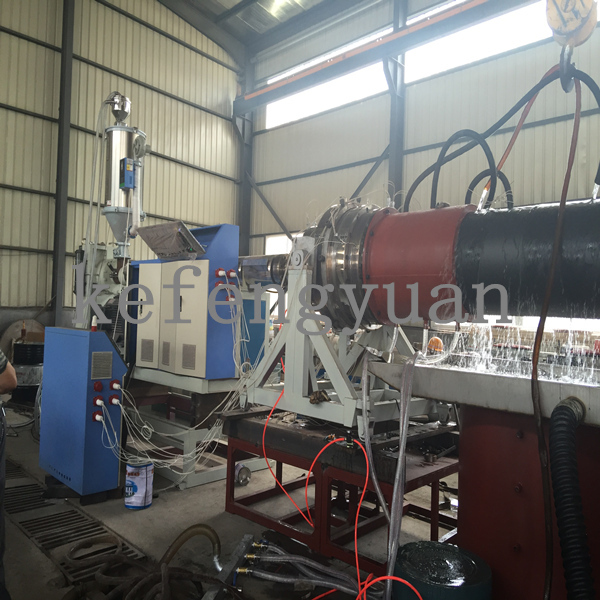 This set is composed of extruder, die and mould, cooling water sink, haul off machine, clipping pipe machine, bracket, support frame and electric controlling pats, etc. 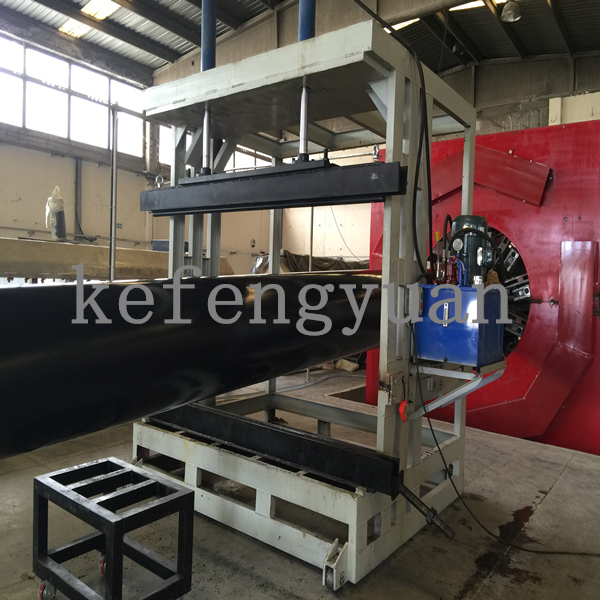 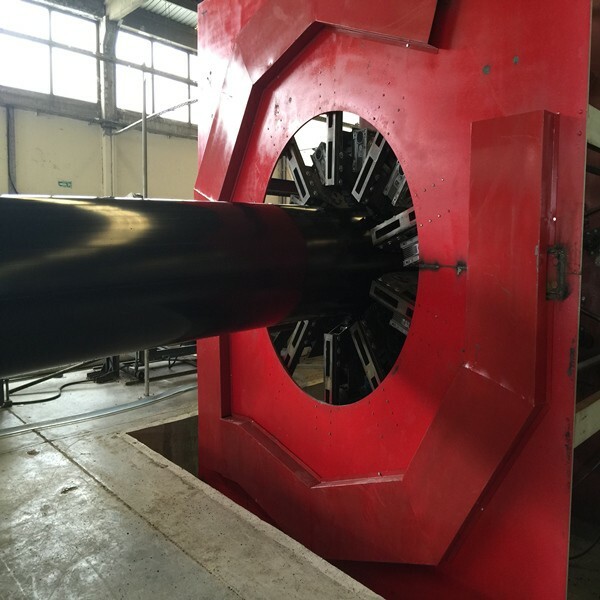 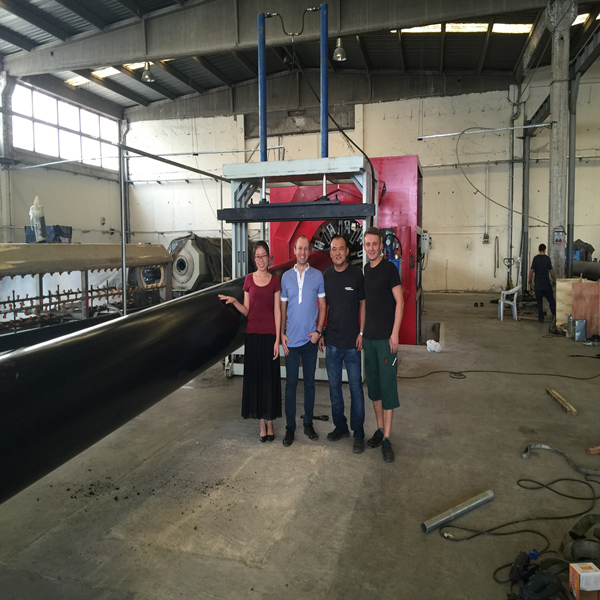 Technology flow:HDPE two step method is produce the HDPE casing in first step, then thread pipe inside the casing and foaming in the middle of it.